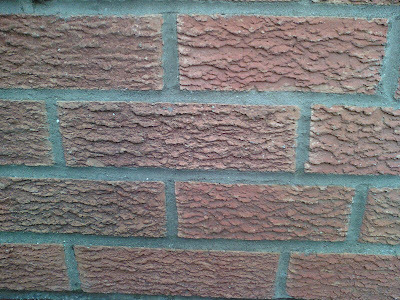 How to replace frost damaged bricks. 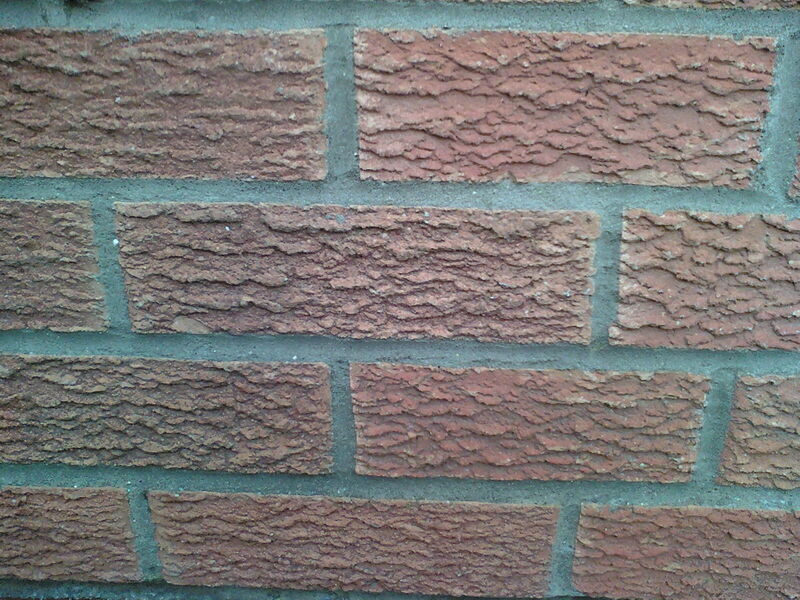 My client in Sleaford (Lincolnshire) noticed, due to last years 'Big Freeze', that a couple of bricks on there home had suffered from frost damage. 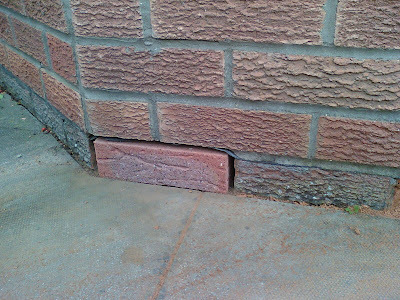 The front of the bricks had popped off. 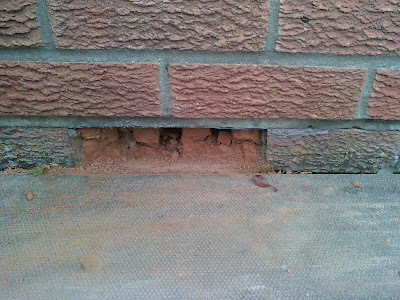 The bricks were just below the damp course so I had to carefully chisel out the 2 existing bricks, making sure not to damage the damp course, remove all the old mortar and then insert new bricks and re mortar and point up. 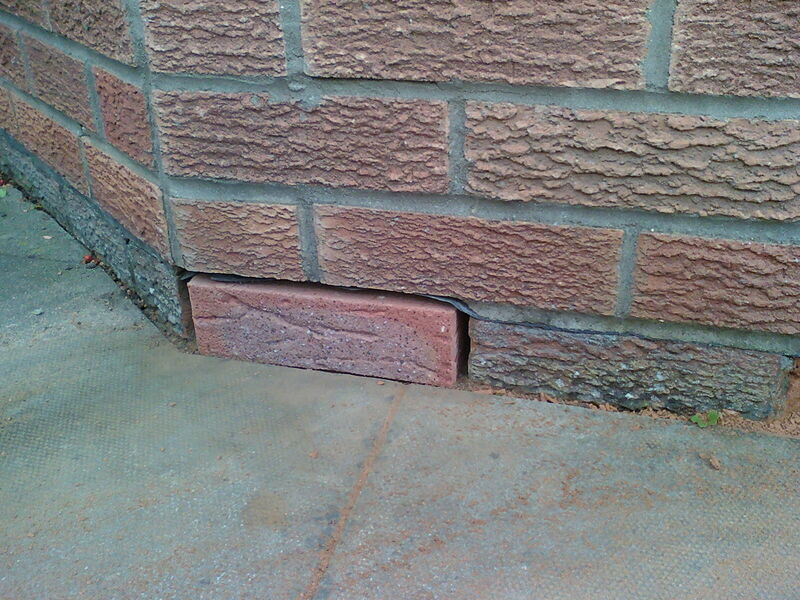 The bricks are now good for another 20 years or so. 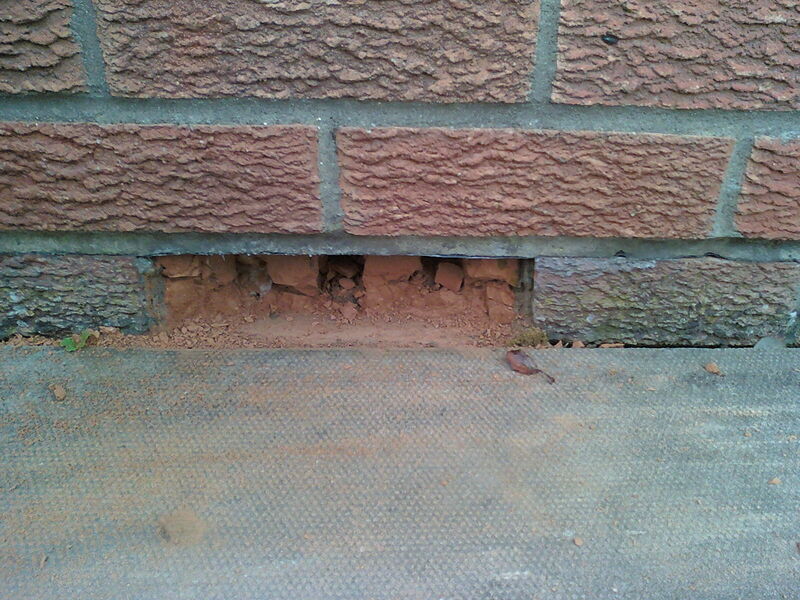 Existing frost damaged brick been broken out.